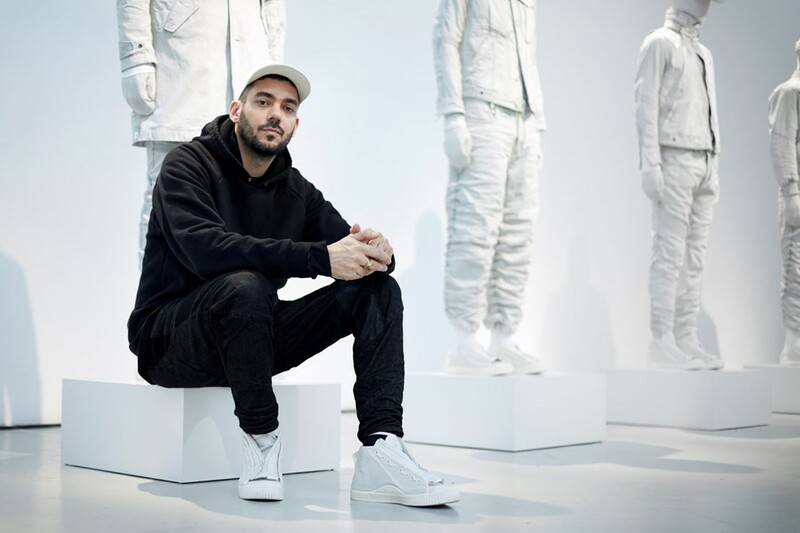 When you think about Aitor Throup, it’s hard not to think about the future. Since his first New Object Research collection in 2013, the designer has become known for his very conceptual approach to fashion and his desire to push it to new places. 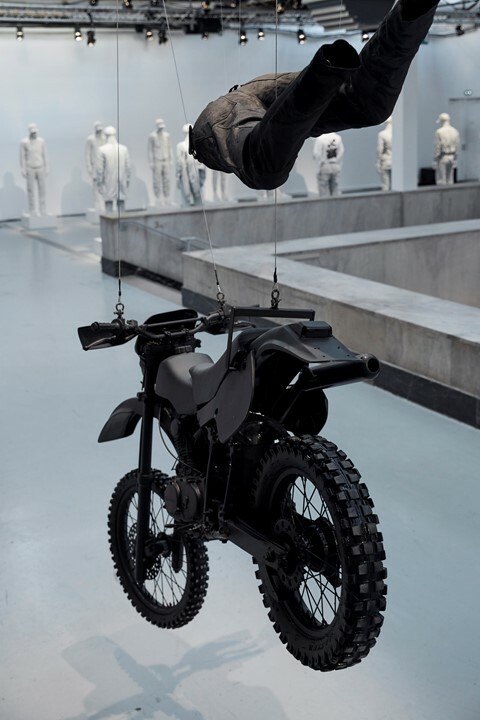 From Hunger Games mecha-suits to masked models constrained by metal armatures in presentations with titles like ‘The Rite of Spring / Summer / Autumn / Winter’, Throup’s creative vision has always been a translation of an obsession with time. Having previously worked with C.P. Company and Stone Island, the Argentina-born designer was appointed creative director for G-Star Raw in October and now he’s set to reveal his second collection. Taking place as part of Paris Fashion Week, Raw Research II will take place in a gallery-like space, true to Throup’s highly artistic sensibilities. Ahead of the event, the designer discusses this presentation, the things that inspired it and what he believes the future holds for fashion. Can you tell us about this upcoming presentation? It’s a continuation of the first season: a platform for us to introduce our newest denim innovations – prototypes that will also later function as blueprints for the G-Star Raw mainline collection. Our primary inspirations always comes from denim, and from the human body itself. We’re focused on learning from human anatomy in order to inform new ways of developing and designing a product. This time, the concept came from this being a transitional period for me and my studio. We moved over to Amsterdam, so I’ve personally been very influenced by Dutch master paintings from the 1630s depicting the peculiar phenomenon, ‘Tulipmania’ – when there was a huge economic boom so that a single tulip could cost as much as a luxury home, only for the tulip to become increasingly accessible when the bubble burst. For me these paintings really reflect on the fragility of exclusivity: how exclusive these tulip bulbs were while essentially they’re just something that comes from nature and are now obviously worth significantly less. We really like the idea of the fact that we are making this collection of beautifully engineered garments for a specific audience, but that we don’t believe in this idea of newness and innovation being limited by exclusivity. 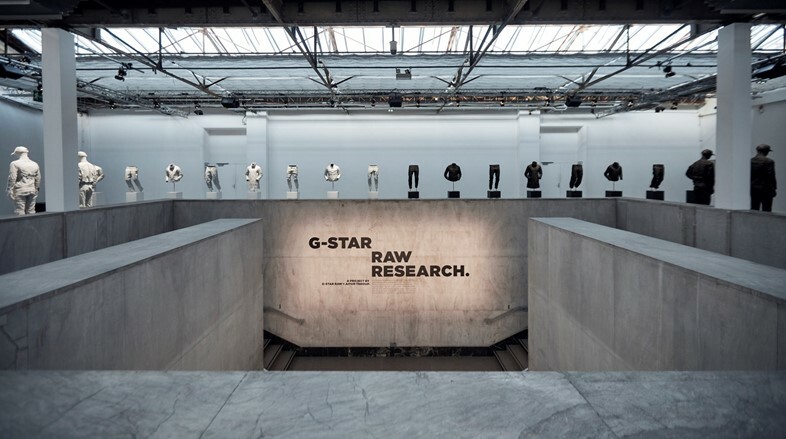 The truth is that Raw Research was never intended to be a capsule collection, it’s simply the place where all the new G-Star developments come from; which we decided to release as beautifully crafted prototypes. For us it’s the flipping of the symbolism of the Dutch tulip being a symbol of wealth and status as it was historically and in a way wanting to sort of take ownership of the Dutch tulip being a symbol for inclusivity rather than exclusivity. Your designs are quite futuristic in their experimentation with 3-D elements and construction – what technology is involved in this process? I honestly believe that technology is not necessary in achieving newness or originality. You can say something truly genuine and new with just a piece of fabric and a pair of scissors, and I think it’s really empowering for the wearer to be aware of that. We are inspiring people to think differently about garment design – which, in turn, allows you to think differently about any type of design really. 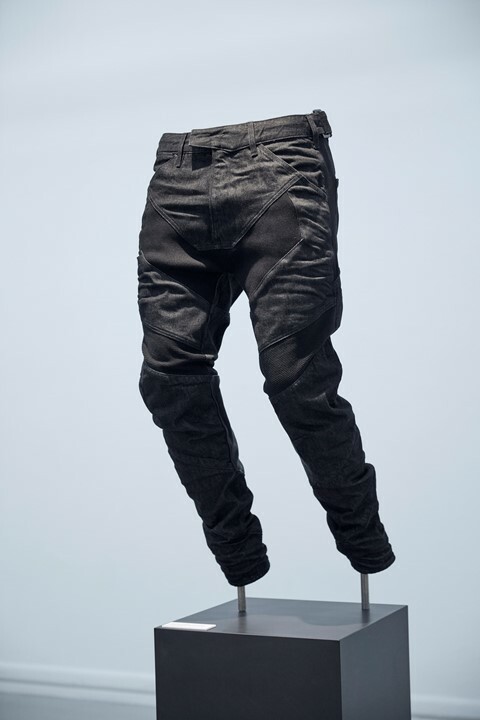 Our new Motac denim series in Raw Research II is the result of really a quite deep ergonomic study of how the human body articulates, which we translated into recognisable denim products that have been constructed from a mixture of rigid denim and elasticated rib panels to allow the body to move freely. It’s almost like an extension of your skin, how the skin grows and shrinks as you move. What has working with G-Star Raw allowed you to do? I’ve been able to learn from the vast amount of talent and experience that exists within the company. Their expertise is incomparable and to be able to work with that and propose new ways of thinking about garments – how garments are designed, developed, constructed and communicated – is really exciting. How does your work as an artist inform your collections? All my work really comes from my drawings. I’ve been drawing for as long as I can remember, it’s the one constant in my life. It is very important to me that my drawings allow me to on one side think three-dimensionally, so that it is a kind of constant study of anatomy. In a way, I’m trying to push the possibilities of how the body can move. I use that knowledge directly into my designs. At the same time and increasingly so with my drawings, I’m trying to be less illustrative and more expressive. I’m trying to capture some sort of human essence, the human energy behind anatomy – whether it’s a drawing, a painting, a sculpture or a garment. I’m trying to capture realness, human likeness, not necessarily through a photo-realistic representation but through human energy. I’m trying to capture that through my drawings and then reflect it through my design work. What is the future of fashion, in your view? For me the most important thing for a fashion brand in the future – but actually the most important thing for any brand, any company, anyone making anything – is to have something to say. To have a message and a narrative that can be engaging. I’m so glad that increasingly there is a consumer demand for explanation and justification - for a narrative and for a conversation with the brand. Content and intention informing a narrative is key. It’s very important for that reason to be inclusive as well - to open a dialogue that is relevant and interesting to people. I’m also personally very excited about making the future of fashion experiential. It’s important that we find ways to engage our audience, and to offer new ways to experience these narratives and stories that we are trying to tell in new ways. The idea of a 'lookbook' and a traditional catwalk seem as dated as the idea of seasons.